No matter how brief your stay in Barcelona, the chances are you will visit at least one building designed by Antoni Gaudí. A mixture of modernisme, surrealism and Gothicism combined with innovative engineering, Gaudi’s unique architectural style has shaped many of the city’s most famous landmarks and influenced generations of architects. Although most of Gaudi’s creations are located in Barcelona, a few examples of his genius exist outside the city. One example, called simply Nau Gaudí, is all that remains of a textile mill which was the first building Gaudi designed after graduating from the Barcelona Higher School of Architecture. Commissioned in 1887 by the Mataró Workers Cooperative, the original plans included 30 houses, a social centre, library, a casino and a school. Only four of the buildings were ever completed and today just two remain; the cotton bleaching warehouse and a small toilet block. At first sight, the simple red brick structure of Nau Gaudi is a world away from the decorative fantasy which has made Gaudí famous. 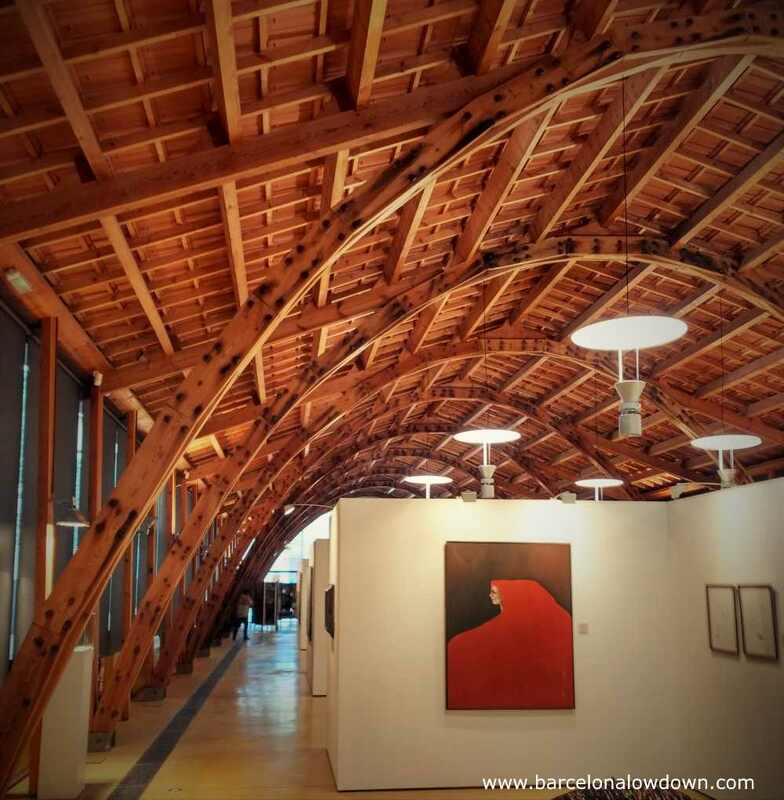 On closer inspection, the curved wooden beams supporting the roof give a clue to the building’s heritage. Similar parabolic arches can also be seen in the Sagrada Familia Basilica, La Pedrera and Palau Güell. 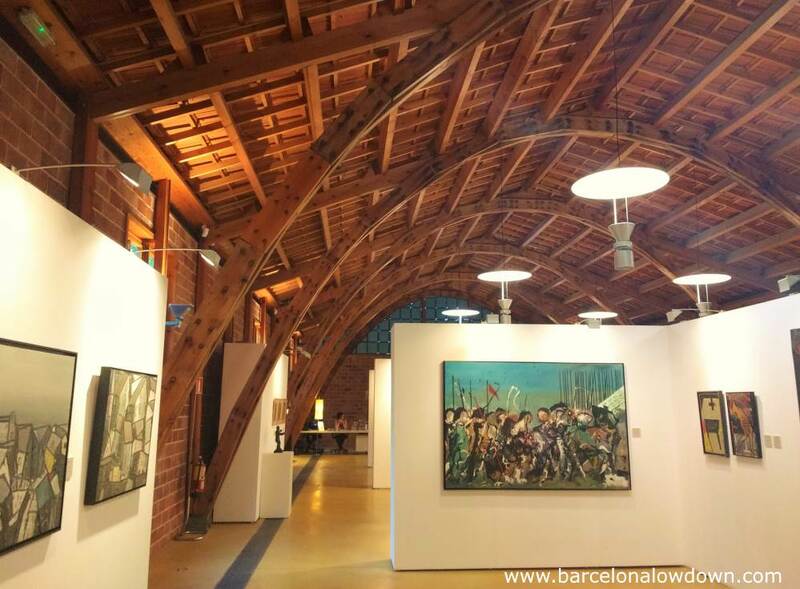 In 2002, the 150th anniversary of Gaudi’s birth, Mataró city council decided to restore the cotton bleaching warehouse and convert it into a civic centre. Since 2010, the building is currently a museum which houses a collection of modern art and an exhibition explaining the imagery behind Modernisme Català. The museum remains closed on Mondays and public holidays. Allow between 15 minutes and half an hour to visit the museum. The train takes 40 minutes from Barcelona Plaça de Catalunya to Mataró and it takes less than 5 minutes to walk from the train station to Nau Gaudí. To get there, cross the road at the pedestrian crossing in front of the station and go straight ahead along Carrer Churraca. Take the first left along first Carrer Germans Thos I Codina, the museum is on your right. Find out more about what to see and do in Mataró on the town’s official tourism website here. 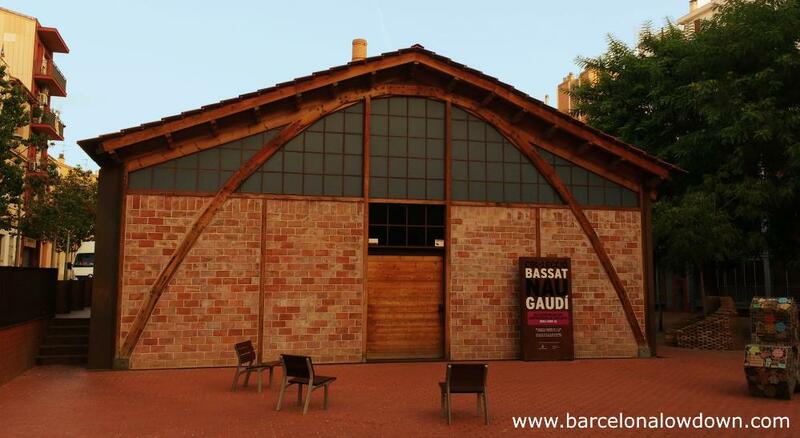 More information about Nau Gaudi and the Bassat collection here.